Our tours are a great way to begin your trip and familiarize yourself with our beautiful city. Our City tour takes you to the best parts of Miami. We can customize the tour to include stops for food, drinks, shopping, or anything else you might want to do or see. Our guides are fun and polite, and they will impress you with their knowledge of our City's history, architecture, and culture. Let us be a fun introduction to all our wonderful City has to offer! 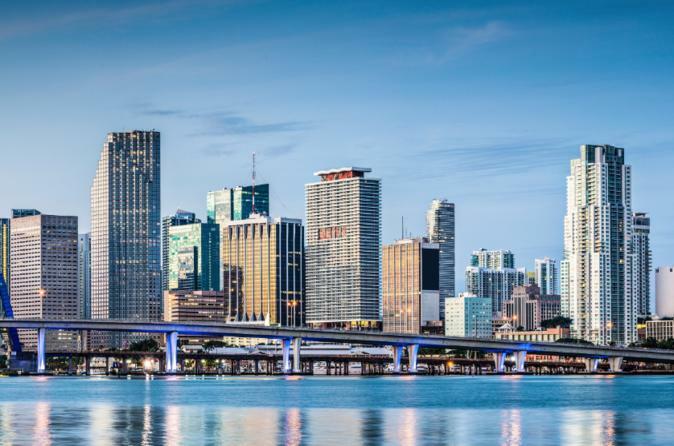 This tour is a comprehensive look at Miami and its surrounding areas. It is 3-4 hrs long, and includes stops at Wynwood Walls and in Little Havana. You can also ask your guide to customize the tour if there are particular areas you are interested in.